(Minghui.org) The German Branch of the International Society for Human Rights (ISHR) hosted the 41st Annual Conference of the International Society for Human Rights on April 12-14, 2013 in the former German capital of Bonn. China’s current human rights crisis, including the regime’s organ harvesting from imprisoned Falun Gong practitioners, was discussed as part of the program’s Focal Points 2013 working group discussions. Also covered were China’s Internet blockade and other human rights abuses. The International Society for Human Rights is a well-established international human rights organization based in Frankfurt, Germany. For many years the organization has been committed to exposing and stopping the Chinese Communist Party’s (CCP) persecution of Falun Gong practitioners, and has actively helped rescue family members of practitioners in Germany who are imprisoned in China. Various speakers were invited to address the working group seminar on China, including medical expert Professor Huige Li, U.S. computer expert Professor Shiyu Zhou, Detlef Alsbach, author of Persecuted Hearts, Wei Liu, a Falun Gong practitioner who was illegally detained by the Chinese regime many times, and a Falun Gong practitioner who is campaigning to rescue his mother, imprisoned in China. 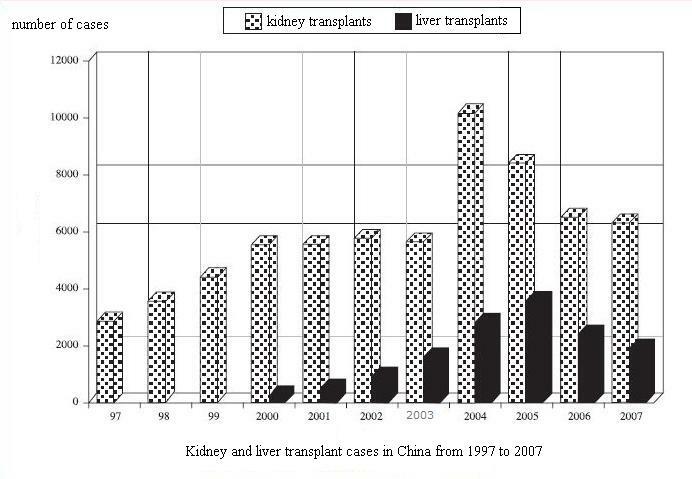 Professor Huige Li analyzed the recent history of organ transplants in China, covering the past ten-plus years. He raised the question of why the number of organ transplant operations surged after 1999 when the persecution of Falun Gong started. He also highlighted the fact that the CCP initially denied the accusations that they were using imprisoned Falun Gong practitioners as a living organ bank. 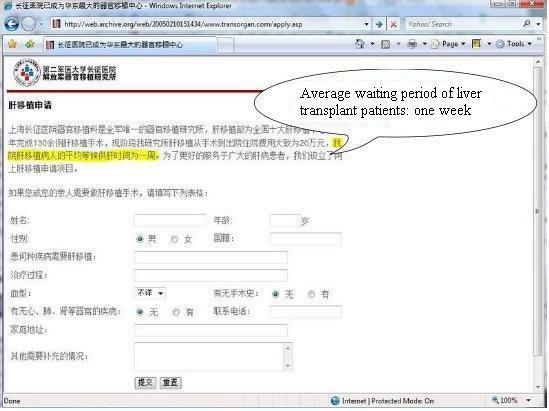 In 2005, under international pressure, the CCP shamelessly claimed that the source of organs for transplant surgeries was death row inmates. However, it should be noticed that the number of executed death row prisoners is actually far fewer than the number of organ transplant surgeries in China. 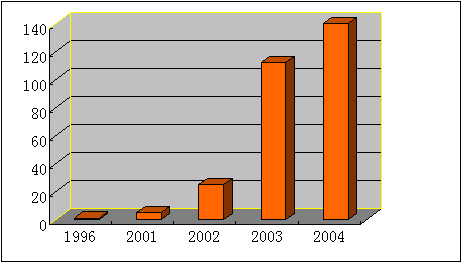 Professor Shiyu Zhou, a computer expert, demonstrated how the CCP invested heavily in Internet censorship in China. 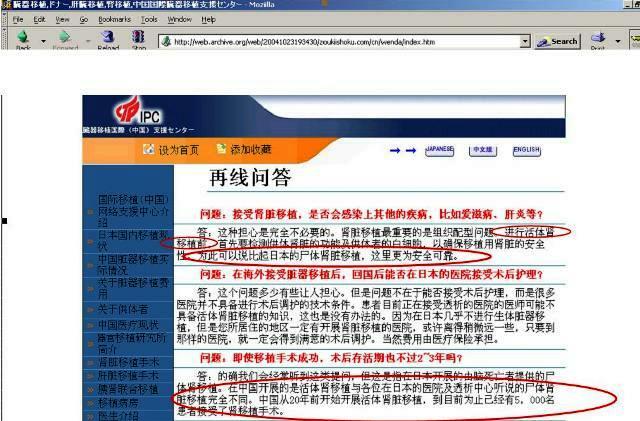 He spoke about how the regime spent huge amounts of money to bribe oversees media to speak for the CCP. Zhou introduced the Global Internet Freedom Consortium (GIFG), which has helped persecuted groups worldwide to successfully break through Internet blockades in China and other countries, bringing a glimmer of hope to those who are pursuing freedom under oppressive regimes. Detlef Alsbach, author of Persecuted Hearts, told the audience that he was shocked when he received a Falun Gong flyer a few years ago and learned that Falun Gong practitioners were being persecuted and their organs were being harvested by the Chinese Communist regime. As a professional writer he made a thorough investigation on his own, then began writing a book about live organ harvesting in China. In an interview after his presentation, Mr. Alsbach mentioned that it took him a much longer time, two to three times longer than average, to finish the book, because it was such an emotionally difficult subject. He said that live organ harvesting also occurs in other countries, but only in China is such an offense being committed systematically, supported by the ruling regime. ISHR speaker Mr. Martin Lessenthin pointed out in an interview, “Organ harvesting is not only a physical offense, but is also a sin of the soul.” He said that he met David Kilgour and David Matas in Germany four years ago, and learned about the organ harvesting from living Falun Gong practitioners. Mr. Kilgour, a former Canadian MP and Secretary of State for the Asia Pacific region, and Mr. Matas, a human rights lawyer, conducted an extensive investigation into the allegations of live organ harvesting in China and found them to be true. Mr. Martin hoped that such offenses would be brought to an end within four years, because the whole world knows the facts, and the international community is taking action to raise awareness and enact legislation and policies to stop these crimes. Mr. Martin also added that the Chinese Communist Party’s persecution of Falun Gong, which has persisted for almost 14 years, is really one of the most serious human rights abuses today. He calls upon everyone around the world, especially elected officials, to exert their influence to stop the persecution of Falun Gong. (Minghui.org) The Minghui website recently broke news that a certain 610 Office ordered the cremation of a Falun Gong practitioner shortly after she lost consciousness after being relentlessly tortured, despite the fact that her heart was still beating. News of this atrocity is yet another example of the Chinese Communist regime’s inhuman policy to eradicate Falun Gong practitioners at all costs. Secret orders were issued, directing all branches of the 610 Office and the Political and Legal Affairs Committee to use all means possible to annihilate practitioners. 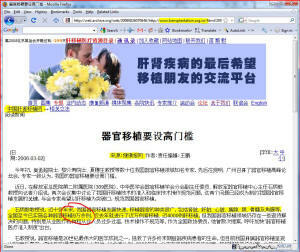 “Eradicate Falun Gong in three months,” “count beating deaths as suicides,” and “no laws should apply when dealing with Falun Gong” are just some of the secret orders that were later made known to the public. More than 100 methods of torture have been used by the regime in their pursuit of high “transformation” rates. Nothing is considered too excessive if it can force practitioners to give up their belief in Falun Gong. According to incomplete statistics compiled by Minghui, 3644 deaths of Falun Gong practitioners have been confirmed since the beginning of the persecution. Even harvesting organs from living practitioners and cremation of practitioners while they are still alive have become common practices in many places around China. Such atrocities are almost impossible to imagine. 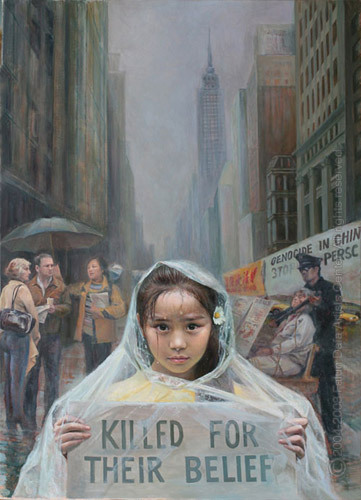 The following is a review of the some of the most heinous crimes committed by the Chinese Communist Party (CCP) in the persecution of Falun Gong. Ms. Liu Weishan, a schoolteacher from Xiangfan City, Hubei Province, was arrested seven times from 1999 to 2002 by the Chinese Communist Party (CCP) for remaining resolute in her practice of Falun Gong. She has been mistreated and held against her will in detention centers and hospitals ever since. Paralyzed and in a state of mental collapse for years, the authorities sent her to be cremated in 2011. Fortunately, the crematorium staff realized that she was still alive and refused to proceed. She was taken back to the hospital. On January 28, 2009, 66-year-old Mr. Jiang Xiqing was cremated while still alive. 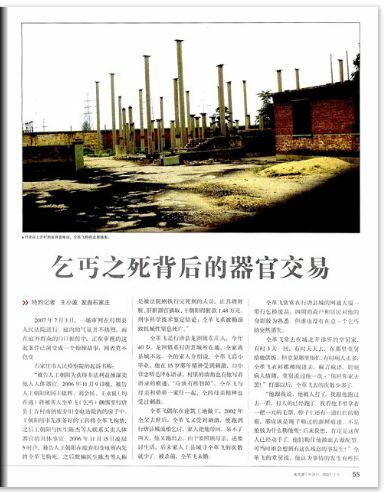 The guards at Xishanping Forced Labor Camp beat Mr. Jiang savagely until he lost consciousness. They then declared that he died of myocardial infarction. When his family rushed to the funeral home, they found that his temple and chest were still warm. However, the guards pushed his body into the freezer and dragged his children out of the room. Despite his family’s refusal to sign the required paperwork, the guards had Mr. Jiang cremated. A former employee of the Industrial and Commercial Bank in Huai-an City, Jiangsu Province, Mr. Zhang was forcibly abducted from hospital by more than 40 guards at 6:30 p.m. on March 30, 2000. They took him to be cremated while his heart was still beating and he was still breathing. The local police prohibited his family and friends from any public mourning or seeking justice on his behalf. In April 2001, Ms. Wang Huajun, a farmer from Baiguo Town, Macheng, Hubei Province, was soaked with gasoline and burned to death while she was still alive. Prior to this, she was beaten almost to death and unable to stand. The perpetrator, Xu Shiqian (Political and Legal Affairs Committee head), dragged her to Jinqiao Square and set her on fire. After this incident, the local authorities claimed that Ms. Wang committed self-immolation because of her Falun Gong practice. Three other practitioners who knew the truth were dragged to their deaths behind speeding motorcycles. “Individual committed suicide” is a euphemism coined by Chinese people to express their anger over the CCP killing innocent people. It originated from the secret policy of counting beating deaths of Falun Gong practitioners as suicide. Later the lawless Political and Legal Affairs committee used this policy on a wider group of people, including non-practitioners. The authorities kill whoever they think interferes with their pursuit of self-interests yet still blatantly claim that the victims committed suicide. 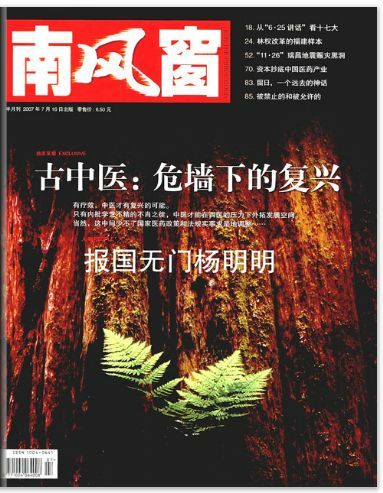 Jiang’s disregard for the the law and human rights in his suppression of innocent Falun Gong practitioners gave birth to this phenomenon of false suicides. The lack of a functioning legal system and social justice, as well as the rampant abuse of power, have made the entire Chinese nation Jiang’s victims. 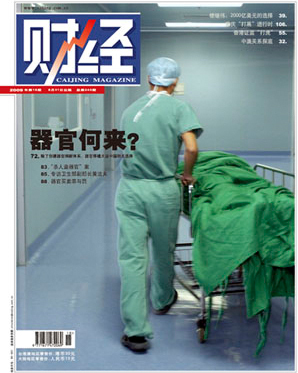 A person must die in a timely manner in order to prolong the life of another person, which can only happen under China’s transplant system in the name of progress and profit,” according to an article by Die Zeit, a major Germannewspaper, which commented that the CCP had been harvesting organs from prisoners for a long time. The CCP practice of sentencing to death the hundreds of thousands of practitioners who went to Beijing to appeal for Falun Gong around 2000 made numerous people unwilling live organ donors. Even though the CCP removed health minister Huang Jiefu from his post in its cover-up of the organ harvesting atrocities and its attempt to evade responsibility, this crime of horrific proportions can never be expunged. 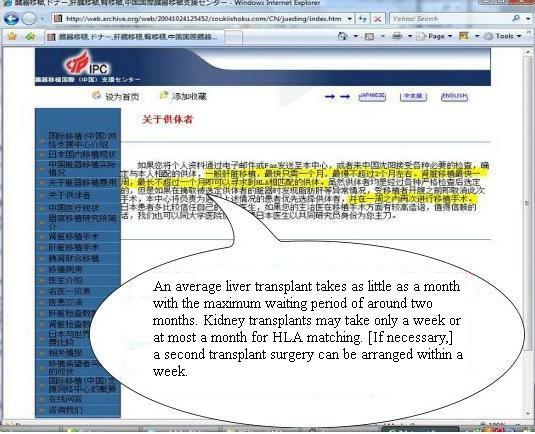 Below is an excerpt from a recent Minghui article indicating that the Chinese healthcare system is still carrying out live organ harvesting. Ms. Wei Fengqin from Shahe Town, Yitong County, Jilin Province, obtained a heart transplant in the General Hospital of Shenyang Military Region at 10 a.m. on November 17, 2012. Within 10 days of initial testing for Ms. Wei’s transplant, a matching organ was found. The hospital claimed the heart came from a 31-year-old male inmate who was executed. The hospital asked the patient to provide detailed information including her family income. The patient was asked to keep the organ source information confidential. Ms. Wei’s doctor was Dr. Wu. Dr. Wu was seen walking out of the hospital clutching a case in his hand on the morning of November 17, 2012. Two hours later he returned to the hospital with the same case and entered the operating room. The surgery lasted until 4:40 p.m.
Three other patients in the hospital obtained new organs at the same time. Ms. Wei Fengqin was chosen to receive the heart transplant. 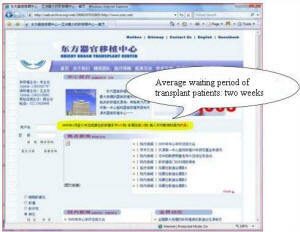 Under normal circumstances, it is impossible to find a matching organ within 10 days. The place where executions are carried out was by far more than two hours away from the hospital. 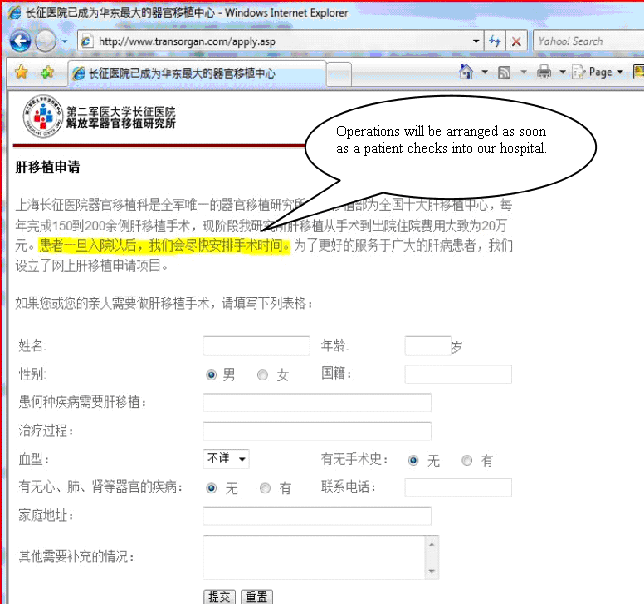 The CCP must have an enormous live organ bank. It is suspected that organs are still being harvested from illegally detained Falun Gong practitioners. Minghui has been receiving tips on organ harvesting from insiders from all over China, and we believe more will come forward and bear witness to this horrific and unprecedented crime. 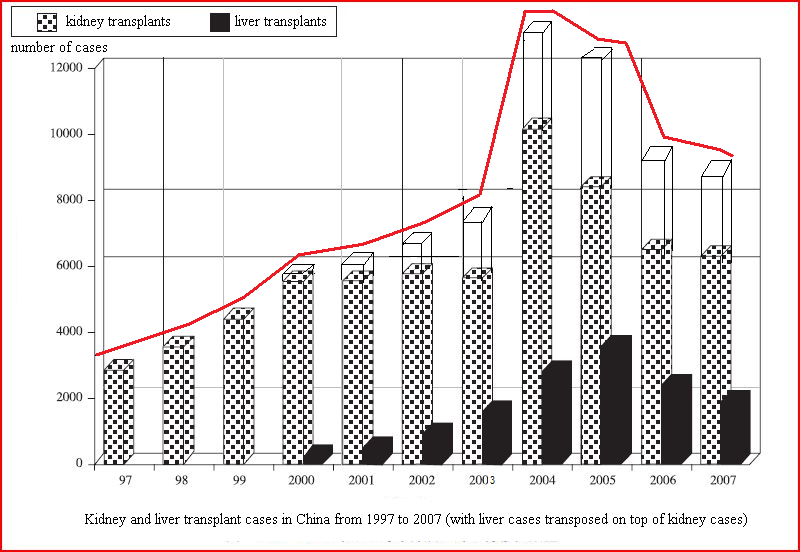 “Many people pay a lot of attention to the transplant statistics announced by the government. Actually, ‘underground’ organ transplants are many times that of the number publicized by the government. For example, if the government says that there are 30,000 cases a year, then the real number is about 110,000. 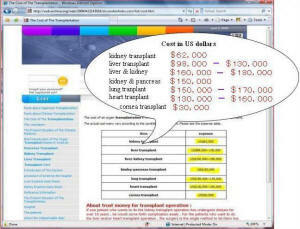 There is an abundance of organ sources, and this is another reason why the prices for organ transplants have decreased. Shortly after he stepped down as Vice Mayor of Shanghai in January 2013, 58-year-old Zhang Xuebing was removed from his post as Shanghai City Police Department Chief on March 28. As a matter of fact, Zhang Xuebing was the chief culprit in the persecution of Falun Gong in Shanghai. 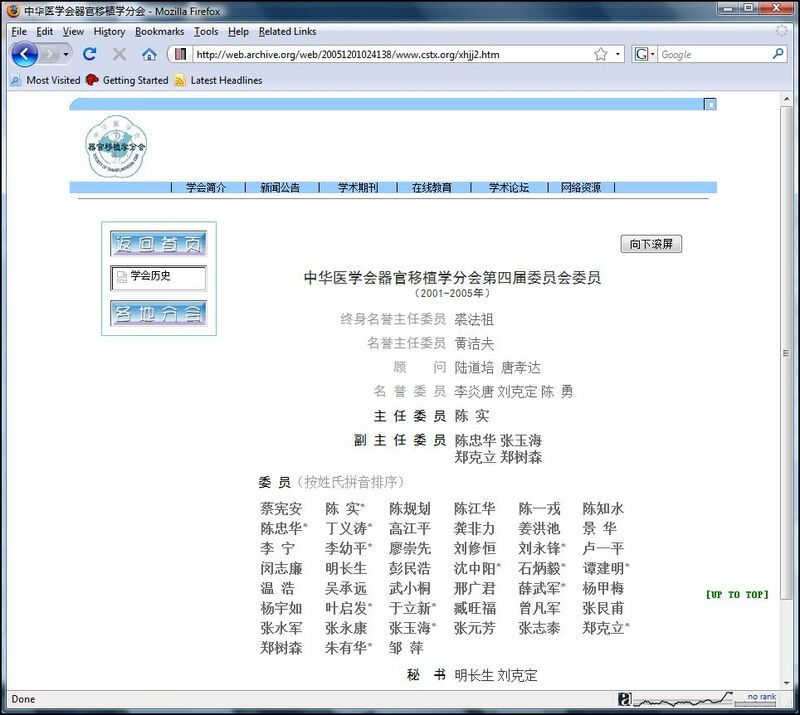 In the early half of 2011, the Shanghai 610 Office ordered its Domestic Security Office to monitor Falun Gong practitioners in their respective territories, resulting in more than 40 arrests in just six months. Street committees, the Procuratorate, judicial and legal system, detention centers, labor camps, brainwashing centers, and prisons were all involved. The 18th People’s Congress saw numerous officials disciplined three months after its conclusion. A total of 453 people were arrested, 392 of them from police departments. Twelve high-ranking officials committed suicide. The removal of Zhang Xuebing is widely regarded as proof that Jiang has completely lost control of the military, the political and legal affairs committee, and Shanghai. Now there is a saying that anyone who follows Jiang is doomed. Actually, those officials share one other thing in common, which is, they have all spared no efforts in persecuting Falun Gong. The crimes they committed against Falun Gong may be the real reason that they are facing grave consequences. If they don’t stop doing evil, even more frightening consequences await them.